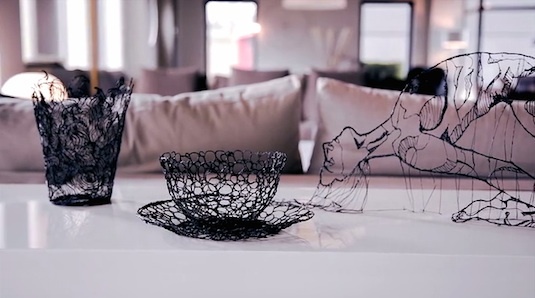 A London-based startup has unveiled the world's smallest 3D-printing pen – smaller than a posh fountain pen. Lix was devised by Ismail Baran and Anton Suvorov in Belgium, and Delphine Wood in London. "We knew there were 3D pens were out there, but we wanted to make it much smaller," Wood told The Reg. "Each part has been completely redesigned from scratch to fit this particular product - all the parts are new and we designed the parts ourselves." These components include a micro planetary motor. The Lix pen charges from a USB 3.0 port. 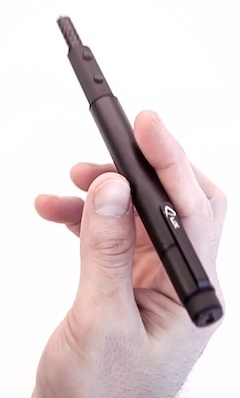 Like 3Doodler, Lix can take ABS (petroleum-based plastic) or PLA (plant-based) filaments, and outputs solid lines as you move the pen through the air. "We really wanted to created a pen to be lightweight and portable so you could put it in your bag and travel with it," added Wood.